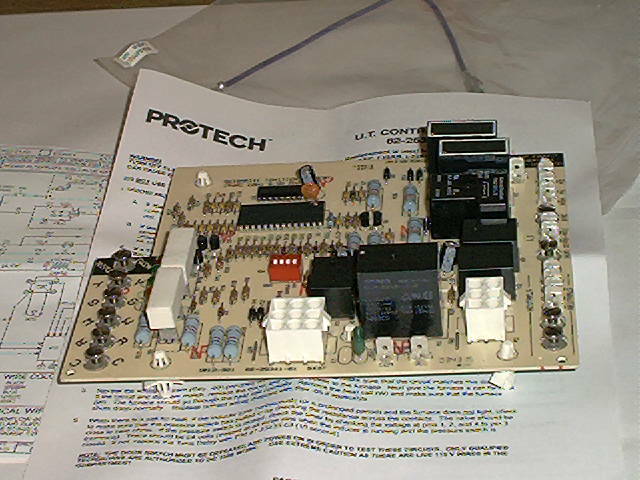 THIS BOARD IS NOT A GENERIC REPLACEMENT, BUT RATHER A GENUINE REPLACEMENT DIRECT FROM RHEEM/RUUD. SEE LIST OF MODELS IT FITS, LOWER ON THIS PAGE. Also replaces these old numbers 62-25341-01, 62-22737-02, 62-22737-09 and 62-22737-89. See the list of models and gas codes below. AS SHOWN, THE NEW BOARD COMES WITH FULL INSTRUCTIONS, A NEW WIRING DIAGRAM THAT WILL BE INSTALLED ON THE EQUIPMENT BLOWER DOOR AND A SMALL WIRING CHANGE WITH THE SUPPLIED WIRE AND INCLUDED IN THE INSTRUCTIONS. THIS WIRING CHANGE SHOULD NOT BE ANY PROBLEM FOR PERSONS MECHANICALLY AND OR ELECTRICALLY INCLINED. OTHERS SHOULD CONSULT THEIR LOCAL H.V.A.C. COMPANY FOR INSTALLATION. 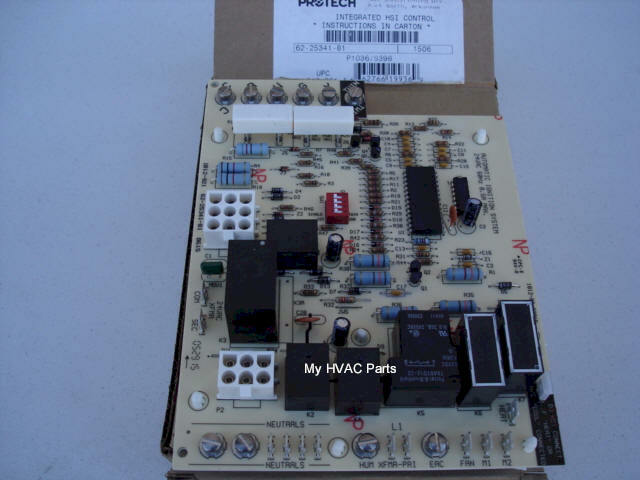 Replaces: Honeywell part number S9201A1002 and Rheem-Ruud part numbers: 62-25341-01,62-22737-02, 62-22737-09 and 62-22737-89.